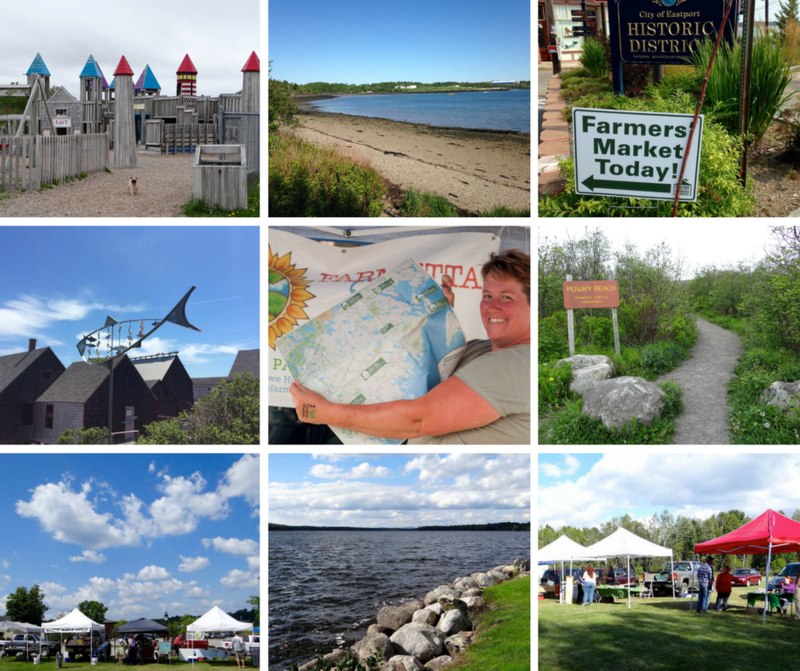 We invite you to explore the farmers’ markets of Midcoast and Downeast Maine! For anyone who loves fresh, local food, and loves to explore Maine, these markets are perfect destinations to start or cap off a day trip along the coast. In each community with a farmers’ market, we’ve suggested free, family-friendly outdoor activities in the area and a wealth of prime picnic spots. Print copies of the map are available at tourist information sites, farmers’ markets, and visitor destinations up and down the coast. This website includes all the information from the print map, plus photos and more information about each area highlighted on the trail. A note on farmers’ market hours and seasons: The farmers’ markets listed in this guide are each operated independently by the farmers. Therefore they each have different seasons and different policies regarding inclement weather. Occasionally farmers’ markets must change their location or hours due to events in the community. Before venturing out on a special excursion to visit a market, always be sure to check the market’s Facebook page or website to verify the hours and location! The Maine Federation of Farmers’ Markets Going to farmers’ markets is at the root of the good life in Maine. The Maine Federation of Farmers’ Markets (MFFM) cultivates that root and keeps it strong. Our statewide programs help sustain Maine farms, connect market farmers, strengthen farmers’ markets, and widen access to locally-grown food for all. Visit www.mainefarmersmarkets.org for more information.